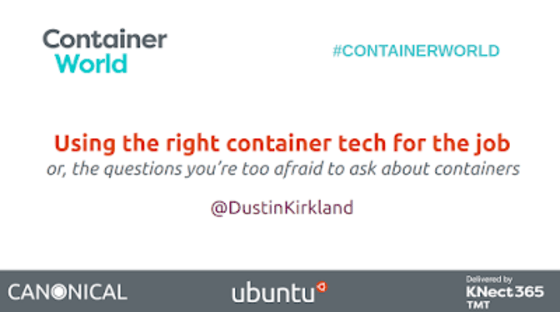 Yesterday, I delivered a talk to a lively audience at ContainerWorld in Santa Clara, California. “Should I run my PaaS on top of my IaaS, or my IaaS on top of my PaaS”? With that as your base, we’ll easily to conjure-up a Kubernetes, an OpenStack, or both. And once you have a Kubernetes or OpenStack, we’ll gladly conjure-up one inside the other. As always, I’m happy to share my slides with you here. You’re welcome to download the PDF, or flip through the embedded slides below.